We developed the design for PriceMob’s mobile application landing page, which included an interactive map search tool. PriceMob is a powerful, easy to use mobile app that aims to change the way Canadians shop, forever. For the first time, consumers can see how much the same product costs at different stores simply by scanning a product in a store using the PriceMob app. 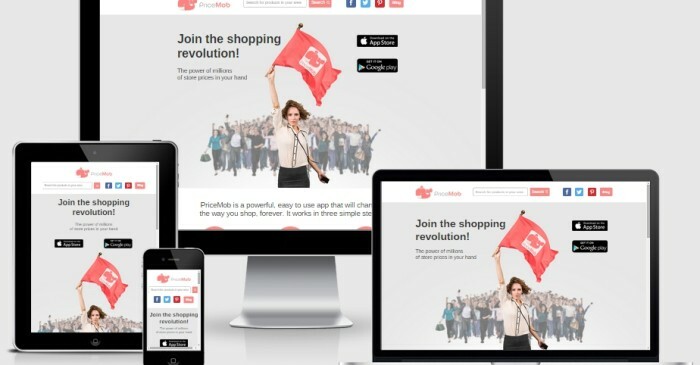 PriceMob needed a modern, unique and compelling website that would clearly convey its revolutionary theme and compel visitors to download its iOS and Android app from the App Store and Google Play site. Working closely with the PriceMob term and using photos from PriceMob’s expertly orchestrated ‘revolutionary’ photoshoot, we developed a streamlined, modern and engaging site that appealed to Canadian consumers and in particular, women ages 18 to 55.